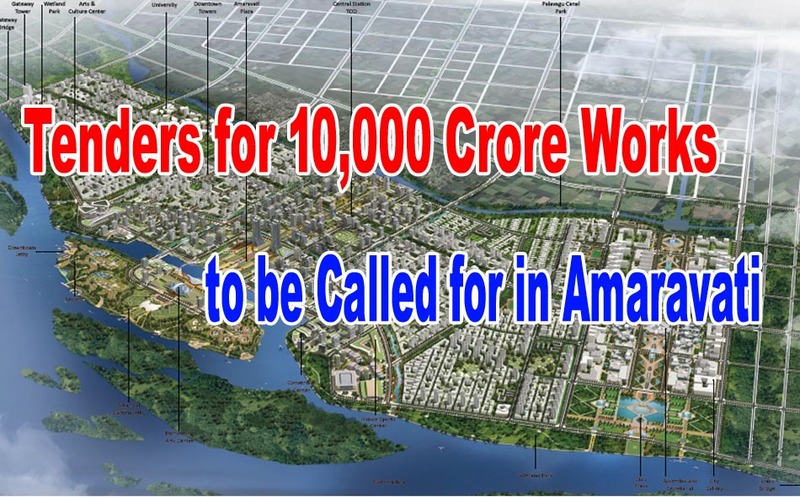 Steps are being made to make the infrastructure in Capital Amravati on par with international standars. In the end of this month, CRDA and ADC are going to call tenders for the important works. It is estimated that their value will be between Rs. 9,000 crores to Rs. 10,000 crores. These tasks will be divided into multiple packages and will be handed over to international and professional expertise. The CRDA has been working hard to take up the process of tenders as soon as possible, as many national and international monetary agencies and banks came forward for funding. The capital city is divided into 13 zones to provide advanced infrastructure. However, now the tender will be called for 11 zones. These include zone of government complexes, including 10 zones with LPS layouts. The remaining 2 zones have been excluded from these tenders because the farmers are refusing to give them under land pooling. The main roads in the capital, internal roads, water supply, water treatment plants, severage system, storm water system, power lines, underground cables, sewage, rainwater pipelines, electricity, communication, cooking gas and security arrangements will be the parts of the works.